for learning the ability to make children happy and being their hero! Now take action and learn how to help children with special needs live a more fulfilled life! Please note that both course options consist of the same content: The Videos are purely visual, without audio explanation. You watch the treatments while reading up on the details in the manual. Do you want to help children with special needs? There are millions of children out there who have difficulties to learn, behavioral issues, emotional problems, suffer from autism, ADHD, Hyperactivity, Dyslexia and many other challenges that they have to face every day of their lives. If you would like to help him and many other children with special needs, then this course is for you! 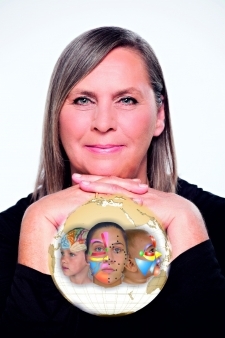 This course is for health professionals, nurses, physicians, therapists and other health conscious people who are interested in working with facial reflex therapy to improve children´s wellbeing. If you love helping children then this is the right course to do! No matter where you live, what age or gender you are, we´ve made it very simple to access our Children´s Special Needs Course. We offer the Distance option (printed material shipped to your home) and the Online version (within minutes you will be able to watch and download the videos and pdf´s) and ongoing support ensures that you get the most out of this course! This course is an additional course for children with special needs. It is designed to incorporate Facial – Foot and Hand Reflex therapy methods by SorensensistemTM affording the possibility to instruct parents and / or family members of children or adults with mild difficulties and special needs to provide home treatment. This course basically gives you the ability to make children happy and smile again… which also results in a happier and more harmonious family everyday life! The Distance course consists of 2 DVDs and a paperback manual which will be shipped to your home. Study with a 'real' book in your hands and read each chapter as often as you like. Watch the DVDs on your computer or TV the times you wish. You do NOT need to be online or study at a particular time. This course consists of online material which you can download. Study from where ever you like and read each chapter as often as you need. Watch the videos on your laptop, desktop, smartphone or tablet. Included in this course is either Distance Tutoring or the ASK Lone membership (webinars), so if you have any questions you can always send them in. Don't worry, we'll take you by the hand and guide you through your training to become an amazing foot reflexology practitioner! Danielle has continued to respond well to the treatments she really looks forward to them each week and we feel it has really helped her self esteem and confidence this term. We have had feedback from her teaching assistant that her concentration levels have improved and she is more attentive in class. One of her comments in her diary is that she feels „brand new‟ after a treatment. She is always polite and very grateful and would love to have reflexology until she leaves school! We feel Josh has greatly benefited from this treatment he is a completely different student to the one we first met back in June. His confidence levels are much higher and he is calm and clear in his thinking and communication with us. He is always on time and has never missed an appointment and looks forward to each treatment. Rhys has come along very well when he started his treatments in June 2006 he came across as being withdrawn, with difficulties in expressing himself verbally. He was also unable to make eye contact whilst having a conversation. For the first few sessions he found it hard to relax and kept twitching and moving his position whilst being treated. He has had 15 treatments up to now and about half way through his treatments we started to notice a distinct improvement in him. First of all he is able to relax fully and often falls asleep whilst treated. He comes across as much calmer, open and happier in himself. He professes to be able to concentrate better at school and claims to be getting into less trouble. His mother has also noted an improvement in his behaviour. Jamel has had only two treatments so far but he really enjoys the feeling of facial reflexology and relaxes extremely well. After the first treatment he has told me that he is sleeping better during the week and is concentrating better on his studies. Of course you can ask for a refund if you feel this is not the right course for you. If you do this within 30 days after purchase, you will get a 100% refund. IMPORTANT: You must have completed the Facial Reflex Therapy basic course (online or in person) to be able to take this course. Copyright © 2015 Sorensensistem. All rights reserved.